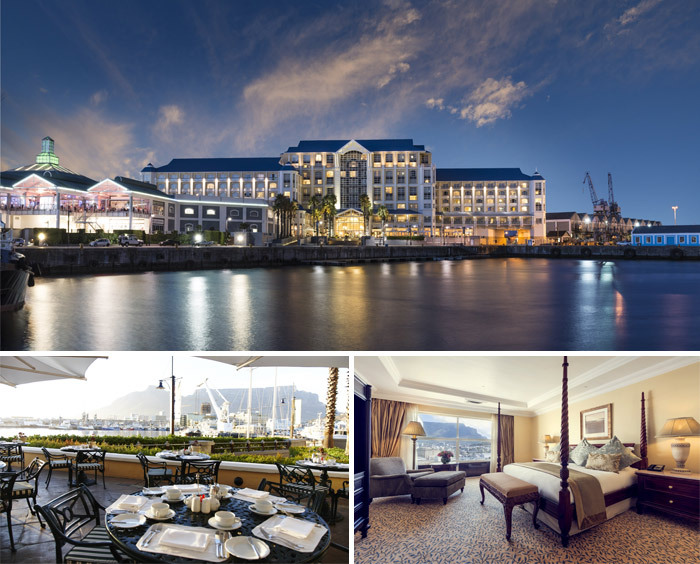 The Table Bay Hotel, located on Cape Town’s Victoria & Alfred Waterfront, straddles the antique breakwater and is an architectural masterpiece, capturing the essence of the enchanting Cape, the Victorian elegance of yesterday, combined with the contemporary design of today. It is in perfect harmony with the backdrop of Table Mountain, the historic working harbour and the yacht bay. The Table Bay Hotel is 20 kilometres or approximately 20 minutes by road from Cape Town International Airport and 5 minutes from the city centre.